Police and partners on their walkabout in Blyth. A police initiative is back underway aiming at improving the quality of life for residents in Blyth. Northumbria Police ran the 12 Streets operation last year which saw neighbourhood officers work with partners in the town including Safer Northumberland focusing on the Cowpen Quay area. Now starting this week, the initiative will run for 28 days and residents should expect to see sustained activity between police and partners, targeting the local issues which matter to residents. The initiative got underway on Monday with a walkabout with police and partners in the Cowpen area starting from Wright Street junction with Keelman Terrace. The partners will focus activity to target crime, drug issues, rowdy and nuisance behaviour, road safety, lighting issues and health and well-being. Neighbourhood Sergeant Nick Smith, from Blyth said: “We remain committed to providing a quality of service to those who need it and protecting those who can’t protect themselves. “We will do this through true partnership working, supported by the local authority, volunteer groups, local councillor Kath Nisbit and parish councillor Margaret Richardson by tackling community issues raised by residents with the most appropriate services available to the community. “The issues we are going to focus on over the coming month are those that the community has identified to us as important and want to see improvements made in Cowpen. 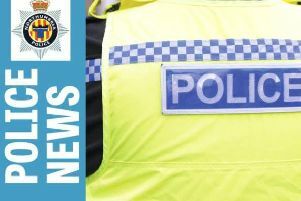 Northumbria Police and Crime Commissioner, Dame Vera Baird QC, said: “It’s great to see the force continuing to respond to concerns raised by local people and tackling issues that directly affect our communities. “I hope this extensive activity will offer reassurance to residents that we’re working hard to pursue those causing harm and disruption in our local areas, especially those involved in the supply of illegal drugs. County Councillor John Riddle, chair of Safer Northumberland, said: “This is all about agencies working together for the long-term benefit of the local community. Local Ward County Councillor Kath Nisbet added: “Last year this initiative made a real difference in targeting the small minority who caused problems in Cowpen Quay. The 12 streets includes Wright Street, Beaumont Street, Disraeli Street, Salisbury Street, Gladstone Street, Hambledon Street, Durban Street, Goschen Street, Balfour Street, Maddison Street, Hall Terrace and Hodgson’s Road areas of Cowpen Quay. Anyone with issues about crime or anti-social behaviour where they live should contact their local neighbourhood policing team on 101.